Not skiing this Sunday? Join me for this Lebanese production, which will surely inspire our after-movie discussion over a drink & food (optional of course). It's an original version with German & French subtitles. The movie starts at 16:00. We meet 15 min before in the foyer, to figure out the tickets. If you want me to get you a ticket with my abo card - send me an SMS, PM or whatsappProtected content . It's 13 CHF. 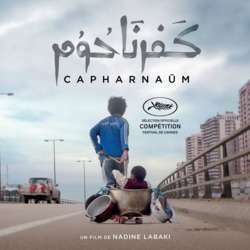 Capernaum (Arabic: کفرناحوم‎), also known as Capharnaüm, is a Protected content drama film written and directed by Nadine Labaki. It was selected to compete for the Palme d'Or at the Protected content Film Festival, where it won the Jury Prize. The film received a 15-minute standing ovation following its premiere at Cannes on 17 May Protected content . The film is nominated for the Academy Award for Best Foreign Language Film.